IF YOU ARE RECEIVING THREATENING OR HARASSING TEXTS OR CALLS AND YOU BELIEVE YOU ARE IN PHYSICAL DANGER, PLEASE CONTACT YOUR LOCAL LAW ENFORCEMENT IMMEDIATELY. If you're experiencing any type of harassment or threats from a Pinger user, please follow the steps below to address the issue. These directions apply to both Pinger users and non-Pinger users. If you are under the age of 18, please have your parent or guardian assist you. We take all reports of abuse very seriously, and will take necessary action against those users who abuse the services we provide. Take a screenshot of the offending text message(s). Block the sender from texting you (Click here for blocking instructions). They will be unaware that you’ve set a block against them. Next, please report the user to us by emailing abuse@pinger.com. Make sure to provide all of the phone number(s) that have been bothering you. If you are a Pinger user, please include your username and phone number. If you are not a Pinger user, please provide the number that is receiving the offending messages. To prevent continued abuse, do not answer the calls. Email abuse@pinger.com. with the offending Pinger phone number(s). If you are a Pinger user, please include your username and phone number. If you are not a Pinger user, please provide the number that is receiving the calls. If you've sent in an email or request for help and haven't seen a response, please review this article, as you may have missed the auto-reply email from our system. 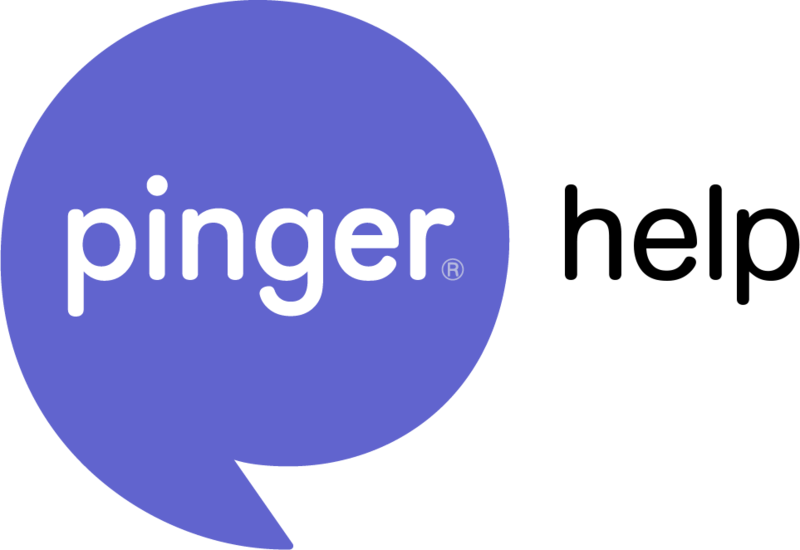 If you have other questions, email abuse@pinger.com, and we'll get right on it.